333 Nm might not be a lot for today’s SUVs, but in 2002, we didn’t have the likes of the Chevrolet Captivas and the Hyundai Santa Fes roaming Indian streets. So, the Hyundai Terracan it was, which was literally the Khan of the terrain, with 333 Nm being churned out from its 2.9 liter turbo diesel motor, which also put out 148 Bhp. 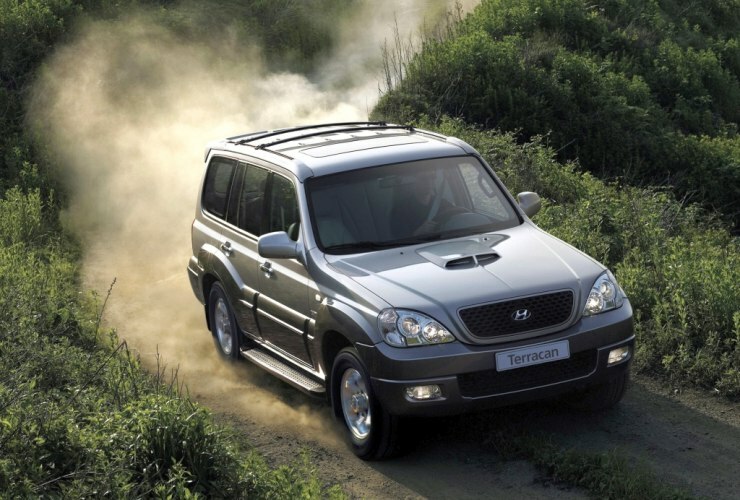 Launched way back in 2003, the Terracan was the big torque luxury SUV this side of the German imports. The ladder framed SUV combined luxury and performance, and served as the forebear of the Fortuners and Pajero Sports of today. Moving on to current times, it is another Hyundai that’s the king of the hill when it comes to being a torque monster in the sub-30 lakh rupee luxury SUV segment. The 7 seat, monocoque bodied SUV’s 2.2 liter CRDI turbo diesel engine makes 194 Bhp of peak power and 437 Nm of brute torque. All that torque means that the Hyundai Santa Fe can take you from standstill to cutting air at 100 Kph in just 10 seconds. 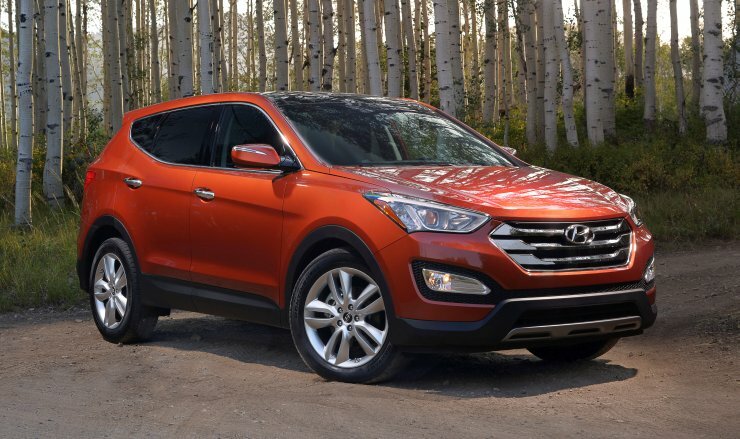 Luxury sedans beware, the Santa Fe can eat you up on good roads and disappear from sight on the bad ones. Asking price? 26.88 lakh rupees for the base variant. 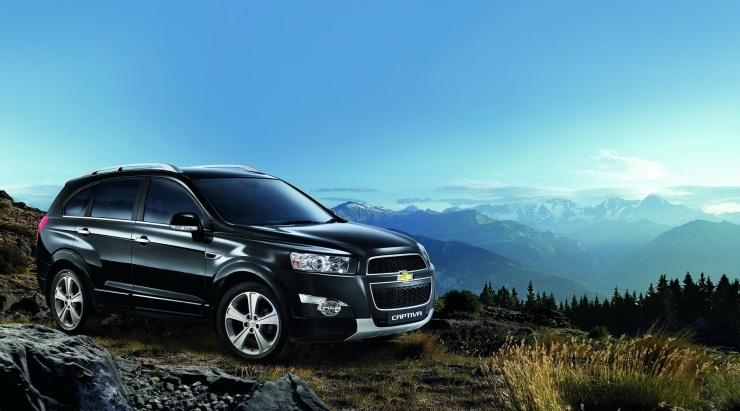 The Chevrolet Captiva is another quick torque gun of an SUV in India. Like the Santa Fe, this butch vehicle from the General uses a 2.2 liter turbo diesel engine with 184 Bhp and 424 Nm on tap. These figures and a 6 speed automatic gearbox on the monocoque bodied Captiva make it the quickest luxury SUV in the country, even faster than the Santa Fe. The Captiva is meant for soft roading at best though, what with its all wheel drive system meant for dirt roads more than rocky trails. The Captiva 2.2 LTZ variant is priced at 27.60 lakh rupees, and the SUV is a full CBU import. The Mitsubishi Pajero Sport is the only ladder framed SUV in the current scenario of torque bomb SUVs. The 7 seat SUV that has distinct pick up truck origins uses a 2.5 liter turbo diesel engine with outputs of 175 Bhp and 400 Nm. The Pajero Sport is much more capable than both the Santa Fe and the Captiva when it comes to going off road. A proper four wheel drive system, replete with low and high ratios allow the Pajero Sport to plug through mud and ford through streams. Known for its legendary reliability and toughness, the Pajero Sport is what the informed SUV buyers opts for, even over the mighty Toyota Fortuner. 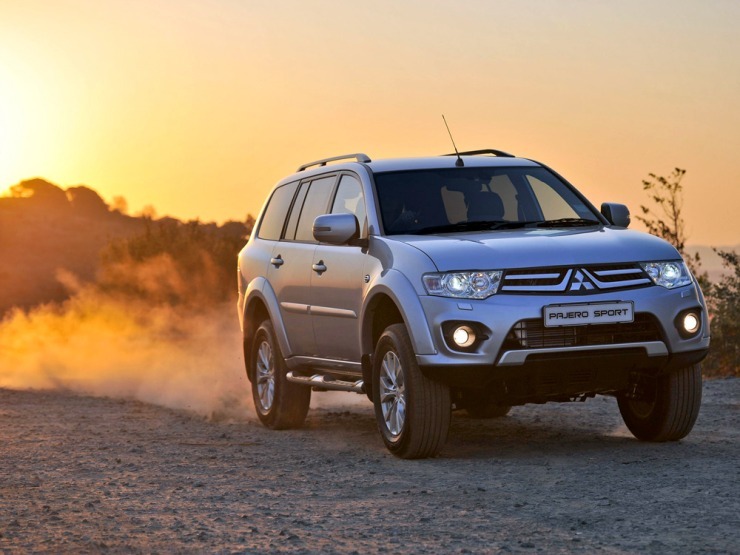 The Pajero Sport’s prices start from 25.28 lakh rupees. The all-new Ford Endeavour is months away from making its Indian debut, even as the Ford Ranger pick up truck based ladder frame SUV has gone on sale in Australian and South East Asian markets. 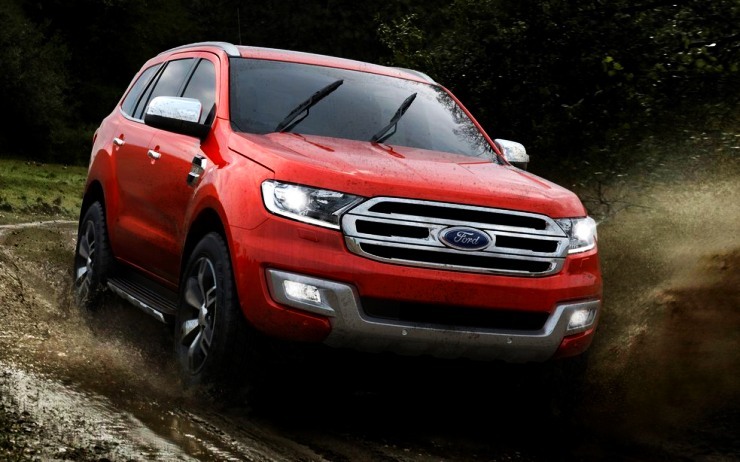 The 2015 Endeavour will be launched in India as Ford’s flagship offering by the end of this year. The 3.2 liter-5 cylinder turbo diesel engine of the SUV makes 197 Bhp-470 Nm, making the new SUV more than 20 % more powerful and torquey than its outgoing variant. The new Endeavour could also be offered with a smaller, 2.2 liter diesel engine, which is rated at 147.5 Bhp and 385 Nm. SUVs from General Motors have never hit bulls eye in India. What they however have scored at is in in terms of the performance they have brought to the table. The Chevrolet Captiva is the quickest sub-30 lakh rupees luxury SUV in the country, and the Trailblazer aims to be the one with the most torque, all 500 Nm of it. 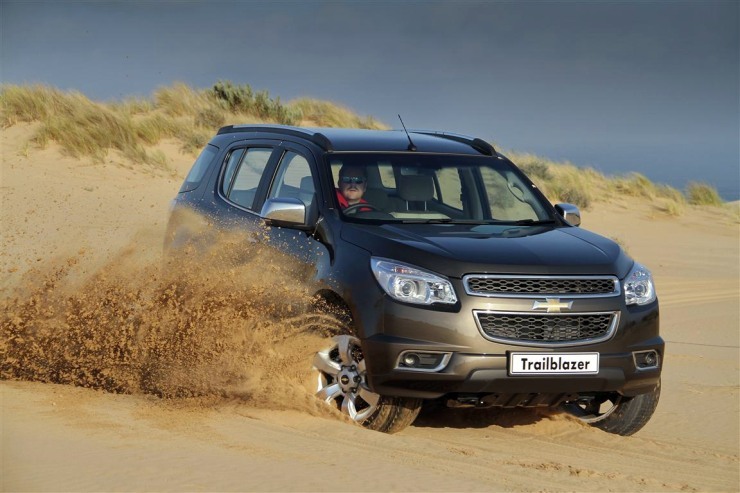 The 2.8 liter Duramax turbo diesel engine powering the big, butch Trailblazer gets outputs of 200 Bhp and 500 Nm. 6 speed manual and automatic gearboxes are likely to be offered. CKD assembly will make the Trailblazer much cheaper than the Captiva but it remains to be seen if GM India takes that leap of faith. Early next year, Toyota will bring the all-new Fortuner to India. Engine details of the SUV have just been released. 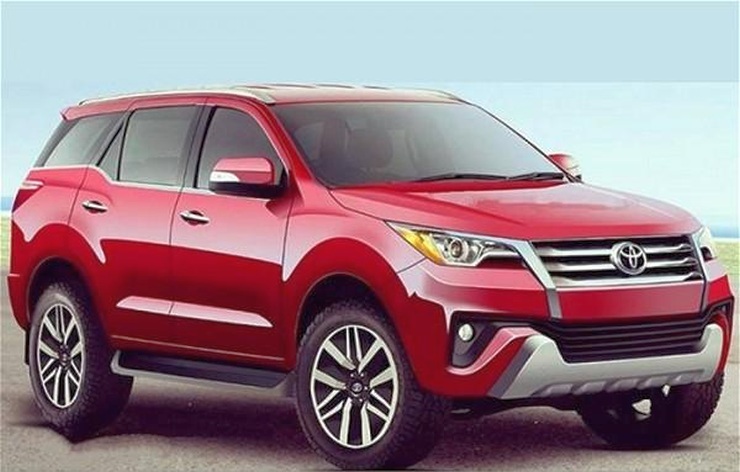 The 2016 Fortuner will feature a brand new line up of turbo diesel engined dubbed the GD series. There will be two diesel engines, both of them smaller than the SUV’s current line up. Small doesn’t mean lower power and torque though. On the contrary, the 2.4 liter GD turbo diesel motor will make 148 Bhp-400 Nm (up from 143 Bhp-343 Nm outputs of the 2.5 liter D-4D) and the 2.8 liter GD unit will put out 175 Bhp-450 Nm (up from the 169 Bhp-343 Nm outputs of the 3.0 liter D-4D). The new Fortuner will also feature a new design and plush interiors.